The concept of this ring uses the act of tearing as part of the design. 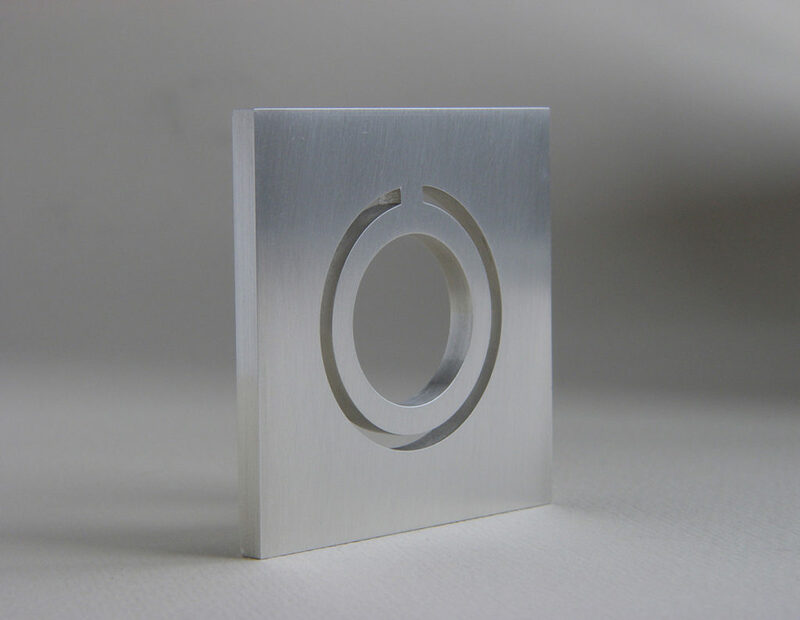 The breaking point of the material resembles a small crystalline shape, representing a stone on the top of the ring, after the circle has been torn off its base. 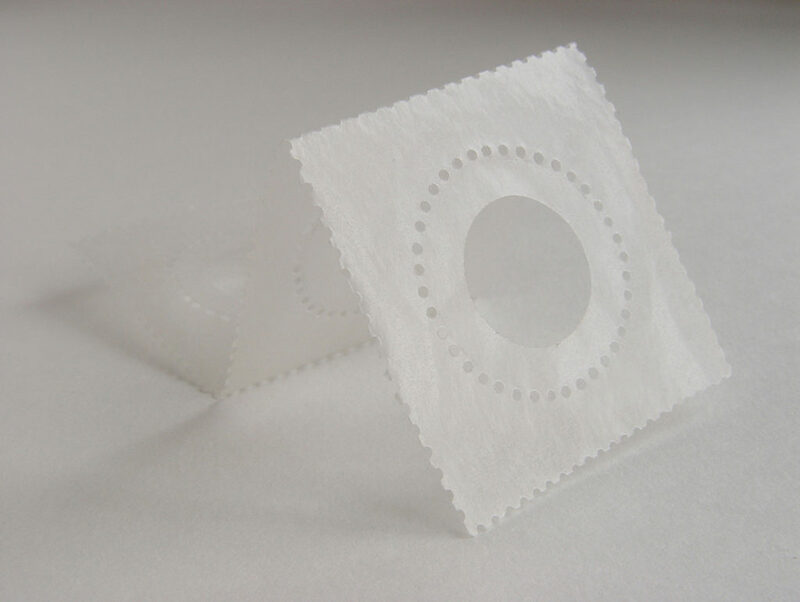 The paper ring is made out of glassine, used in stamp albums to protect mail stamp collections. The piercing technique suggests the shape of a ring and evokes the stamps’ sheet at the same time.